Caption slip reads: "Photographer: Gray. Date: 1960-06-22. Reporter: C C Tofelle(?). 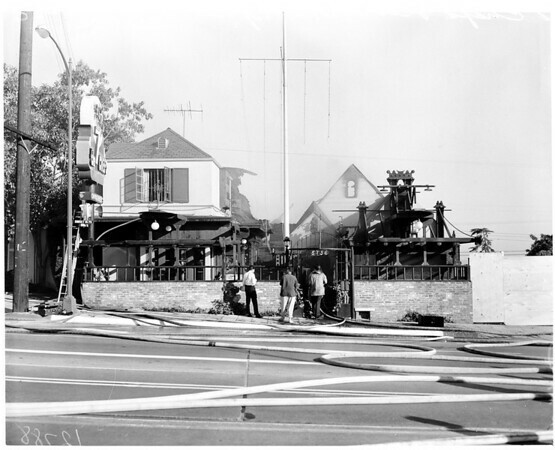 Fire burned out 7 Chef's Restaurant, 8756 Sunset Blvd."